My lovely cousin, Georgia, over at Teen Book Hoots recommended me to one of her blogger friends, Michelle Toy of Tales of Yesterday, who invited me to take part in the Lost and Found Blog Tour. I am delighted to post my review of The Island by Olivia Levez as part of the virtual tour, but there's also an actual tour - find out if it's coming to a location near you at the end of my post. I don't read a great deal of YA novels but there was something so very appealing about The Island, with the added benefit of an embossed cover that entices you to trace the waves as you're reading. I absolutely raced through The Island in two days as I simply couldn't put it down...in fact I am still stroking the calming cover at every opportunity! Frances is a very troubled teen and we are introduced to her as she sits on a plane destined for an Indonesian island. Frances has been signed up to a pilot scheme by TeamSkill that takes young offenders to a remote desert island to teach them team building and life skills. Of course, this is a book about a castaway so it's no surprise that the flight does not go according to plan and Frances finds herself floating out to sea in an inflatable lifeboat...alone. When she hits land she has to fend for herself and, as we gradually learn about her family life, we find that this is something she is quite used to doing. I loved the way this was written; in very short chapters and quite poetic at times. With each turn of page we are given the opportunity to step into Fran's bra-shoes (loved that) and live each day with her. As with any period of solitude, she frequently looks inside herself and sees only a monster, so I wondered what she had done that was so bad. Yes, she has committed a crime but, looking at all of the events leading up to this, I really felt a deep empathy for her. As each day passed, I likened Fran to a could-be nut; hard on the outside but once you crack her shell there is a soft sweetness inside. The Island is a beautiful, emotive and thought-provoking read; it is quite unique in style with such clever diction that gives us an insight into Fran's feelings and emotions, sometimes by using just one word. I do have to mention that it has a dot dot dot ending which some readers may find unsatisfying, but I was so completely absorbed in the story that my imagination was happy to run away with me. Olivia Levez has written a superb debut and I was completely captivated. I received this book from the publisher, Rock the Boat, in exchange for an honest review. 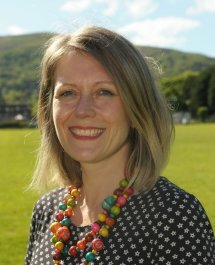 Olivia Levez lives in Worcestershire, where she divides her time between teaching and writing. 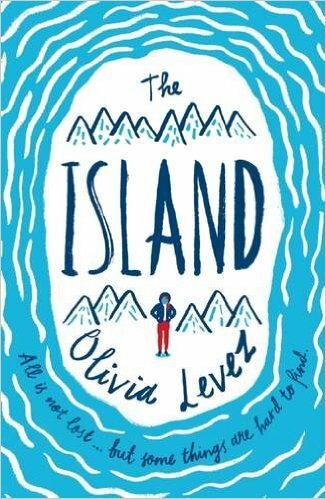 The Island is Olivia’s debut novel and her second book will publish in spring 2017. She writes mainly in her caravan in West Wales, where the coast was inspiration for the desert island in her book. She loves dogs, real ale and yoga. Birmingham Waterstones for the launch event chaired by Chelley Toy! Catch us at any of the following tour locations! Follow the #LostAndFound for fab blog posts and reviews from 12th September – 30th September with some awesome bloggers!